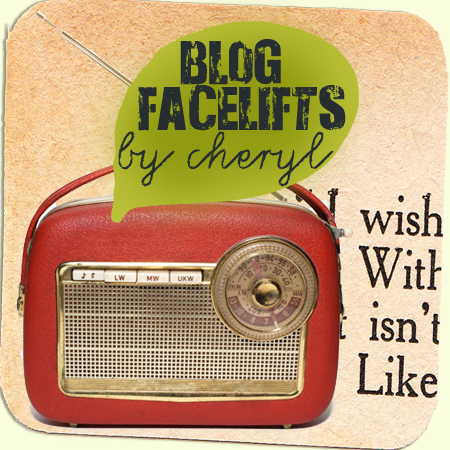 blog design: Blog Facelift Information. When I was just in the beginning stages of the Cartwheels In My Mind website, I searched around for someone I could hire to design this blog for me, but soon realized that it's a pretty pricey endeavor and ultimately decided to try my hand at designing it myself. And I have to say, I fell in love with the entire process. It's so amazing seeing your vision come to life while learning a new art-form at the same time. And because I enjoy it so much and realize how expensive it can get for other bloggers...I decided to offer an alternative to the normal blog design options...the BLOG FACELIFT. -small square graphic custom designed to fit your blog's aesthetic to use as a promotional tool for your blog or business. -small square blinking graphic custom designed to fit your blog's aesthetic to use as a promotional tool for your blog or business. -Each widget includes 3 coordinating graphics that blink slowly to draw attention from viewers. *Design prices are in US dollars and payment is non-refundable. I am also open to designing blogs from scratch/doing blog makeovers by request. Just e-mail me for prices and we'll figure out exactly what you want! Please feel free to contact me at n.c.ametewee@gmail.com for more information about helping you create a site that suits you perfectly.